View images of Spring Creek. Make your new home in Spring Creek’s neighborhood. There’s a lot just right for your new home. Spring Creek Commons features over 44 parcels. Homes range from 16500 to over 4000 sq. feet in the Residential Commons. Rose Hill features lots for smaller cottage type homes, geared to one level living. Spring Creek Cove is the newest addition with larger wooded lots, offering spacious plats for larger homes. For your residential needs in Spring Creek, call Jim Sharp Developments at 423-479-5237 or 423-479-9810. Spring Creek – where you can live, work, shop, dine, & play. The new Center for Oral & Facial Surgery in Spring Creek’s Business Park is now open! The firm joins Cleveland Eye Clinic & Optical Boutique the first resident of the park, and Ocoee OB/GYN which opened its doors Dec. 29, 2014. Oral and maxillofacial surgeons at the center have a combined 100 years experience in their specialties. Surgeons include: Wayne E. Tipps, DDS, Steven P. Tipps, DDS, Hal Jones, DDS, John A. Spann, DDS, Ivo Aaron Miller, DS and Brandon K. Cannon, DDS. The staff at Center for Oral & Facial Surgery is a team uniquely qualified and skillfully trained to provide personalized care that ranges from corrective jaw surgery to wisdom tooth removal. They can also diagnose and treat facial pain, facial injuries, TMJ disorders, and perform a full range of dental implant and bone grafting procedures. The multifaceted oral and maxillofacial surgery center, state licensed and AAAHC accredited, is equipped with state-of-the-art technologies. Spring Creek is Cleveland, Tennessee's first mixed-used neighborhood and is designed as a destination lifestyle development serving residents, businesses and the community at large. Spring Creek's planned development consists of retail, residential and professional offices, all in a park-like environment connected by manicured green space, pocket parks and walking trails. It is designed to improve the quality of life in the area, while serving as the Eastern corridor for the City and a gracious pedestrian corridor to historic downtown Cleveland. Build your business in Spring Creek. 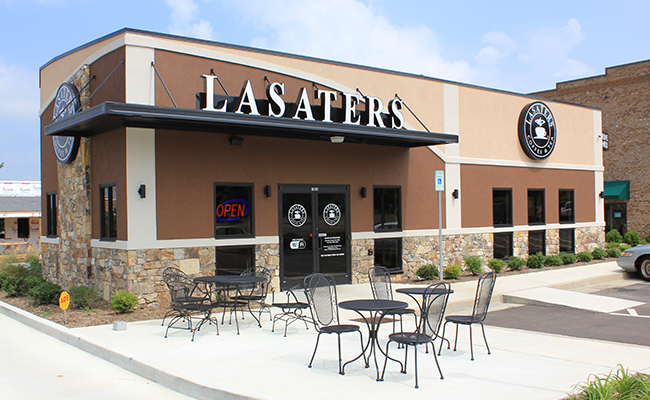 Commercial lots available for dining, shopping or professional services. Call Bender to find out more about how your business can become part of the Spring Creek Development or Spring Creek Business Park. Call Robert Bradney at 423-472-2173 or visit www.bender-realty.com. Let the professionals at Bender Realty help you find the new home that’s right for you. 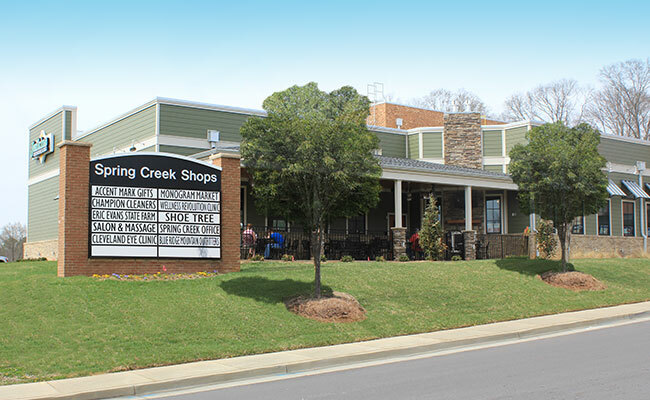 Visit the shops at Spring Creek. Spring Creek - Cleveland’s Complete Residential - Retail - Lifestyle Community.